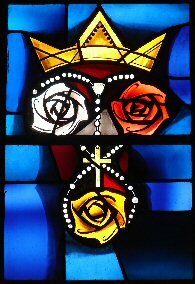 Queen of the Rosary . . . 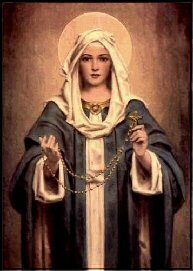 Throughout history, Mary has repeatedly visited her children, asking them to draw closer to Our Lord through her rosary. 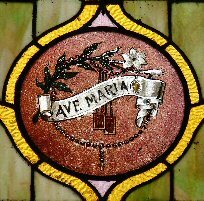 Our salutation, "Hail Mary, full of grace," echoes the greeting made by the Angel Gabriel, who conveyed God's pleasure with her as his daughter. 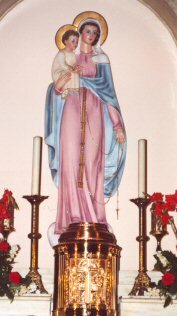 Mary holds the highest and most honored place above all created beings. She intercedes with God the Father and Jesus Christ, her Son with a familiarity possessed by no one else. When we ask for her love, guidance and protection, "Pray for us sinners, now and at the hour of death," we voice our need for her love, strength and the confidence that her intercessory prayers for our spiritual welfare will always be heard. 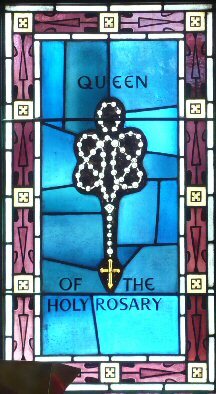 If you persevere in reciting the Rosary, this will be a most probable sign of your eternal salvation.